Federal prosecutors told a federal judge that Sen. Robert Menendez repeatedly told “lies” to the press to cover up a “corrupt pact spanning seven years” that included free private jet trips the senator received from a wealthy Florida eye doctor. Prosecutors said Sen. Menendez (D-NJ) and his personal guests took more than a dozen free flights even though the senator repeatedly claimed he reimbursed Dr. Salomon Melgen for all “three” flights he had taken. “What both the defendant’s false public statements sought to hide was that the $58,500 check did not cover all of the private flights that Menendez accepted from Melgen – it covered two personal trips that the defendant believed the public knew or would find out about,” prosecutors alleged in a new legal brief. In outlining their upcoming case for the judge, prosecutors said the plane’s pilots will be among the witnesses to testify about the lavish trips provided to Menendez, including vacations at the Dominican resort of Casa de Campo as well as another stay at Punta Cana, also in the Dominican Republic. Prosecutors noted celebrities like George Clooney and Maria Sharapova often stayed at the same hotel. 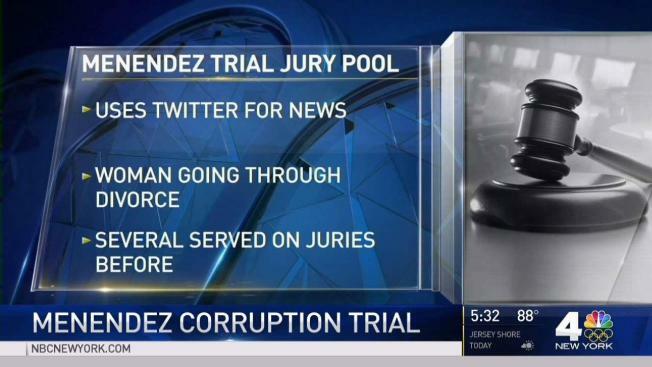 Prosecutors allege Menendez never filed the required disclosure forms with Congress for accepting such gifts and trips. Prosecutors said Menendez sought to repay Melgen by helping get visas for Melgen’s numerous foreign girlfriends. They also allege he took “official action” when Melgen found himself in a Medicare billing dispute with the government as well as in his seeking to secure a separate port security deal potentially worth tens of millions. Prosecutors said testimony from government officials and emails among the kinds of evidence the jury will hear and see. Melgen was convicted this year of conducting a massive Medicaid fraud scheme. 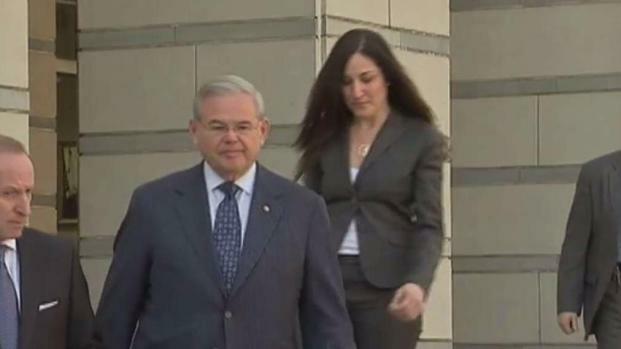 Prosecutors said they will also connect the timing of big donations by Melgen with calls and letters Menendez wrote to government officials on Melgen’s behalf. Defense lawyers counter the prosecution is “lurid and one-sided.” And defense lawyers complained about the timing of the filing as one juror recently dropped out of the upcoming case - so there is still one more seat to fill on the jury. Menendez attorney’s said the defense stands ready to try this case in the courtroom and not the press. Earlier this month, Menendez’s attorney Abbe Lowell sent this statement to the press: "Senator Menendez has spent 43 years in public life fighting for the issues and concerns most important to the people of New Jersey and the United States. He has constantly stood up for the most vulnerable in our society and lent his voice to the voiceless. After charges were filed, Senator Menendez said in court and to the public that he was not guilty and looked forward to showing that the allegations against him were false. Now, as the trial approaches, he will have the opportunity to do that so all can see. The senator is in good spirits, has faith in the American system of justice, and is confident that when all the facts are heard, he will be vindicated."